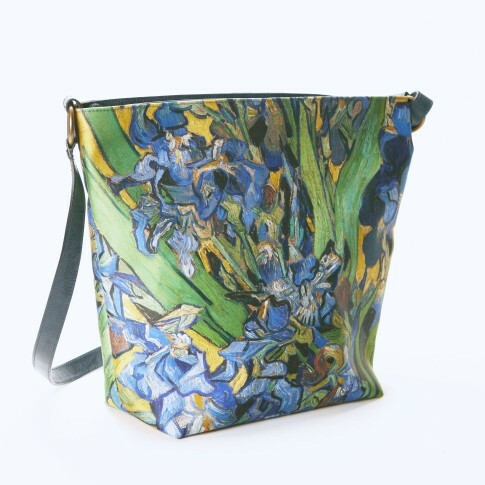 This shoulderbag has been exclusively designed for the Van Gogh Museum by Olalla Gambin.De exterior is covered with a high quality silk fabric and printed with the intense colors of Van Gogh's Irises. Finished with leather details. A very handy size with a zipclosure at top and a zippocket and pocket for your phone on inside. Comes with a dustbag. Measurements: 30 x 29 x 12 cm.